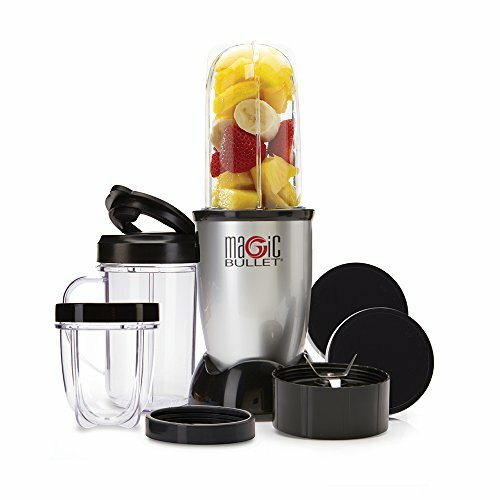 Magic Bullet 13-Piece Set Blender & Food Processor for Kitchen with Over 40 million Bullets sold! Make it fast by keeping it simple. Does any job in 10 seconds or Less! Hi-speed blender & mixer. 10 second recipe book included. 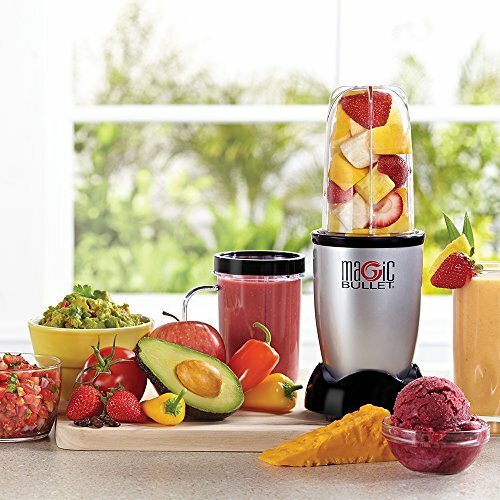 Like your personal kitchen food processor & blender assistant. 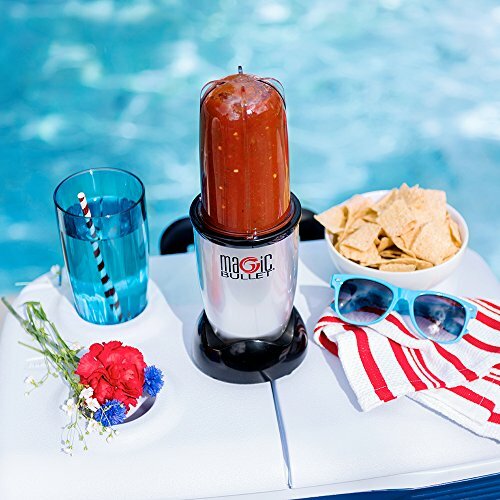 Do it all with hi-speed blender & mixer system. Chop, Mix, Blend, Whip, Grind, and Mince. Handy versatile and easy to use, the Magic Bullet Blender & Food Processor takes up minimal counter space while showcasing maximum speed and versatility. With its unique design and compact size, the Magic Bullet Blender & Food Processor chops, mixes, blends, whips, grinds and more in less time than it takes to assemble standard kitchen appliances. Make the perfect smoothies and milkshakes, frozen cocktails, and pureed soups super easily! 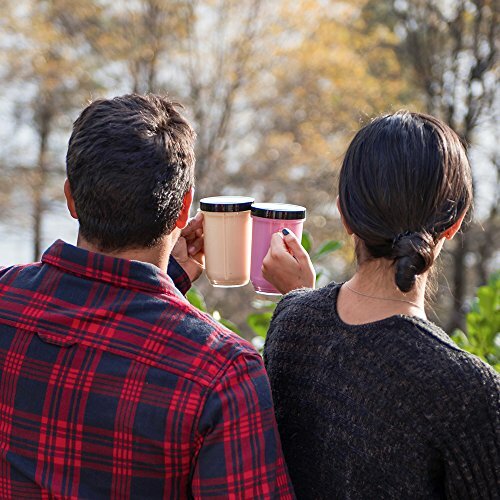 And with a wide array of dishwasher-safe attachments, clean-up is as easy as it gets. 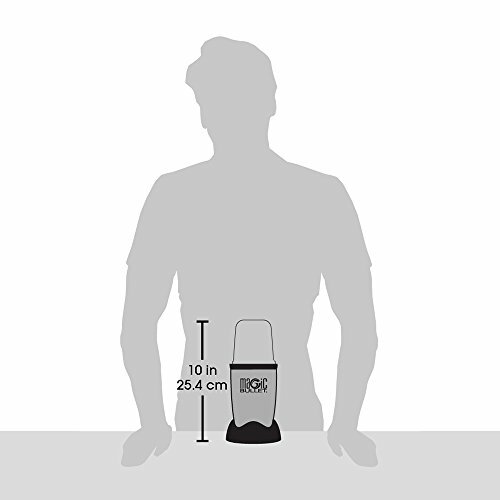 The secret to the Magic Bullet's time-saving efficiency is its specially designed blade and unique bullet shape. 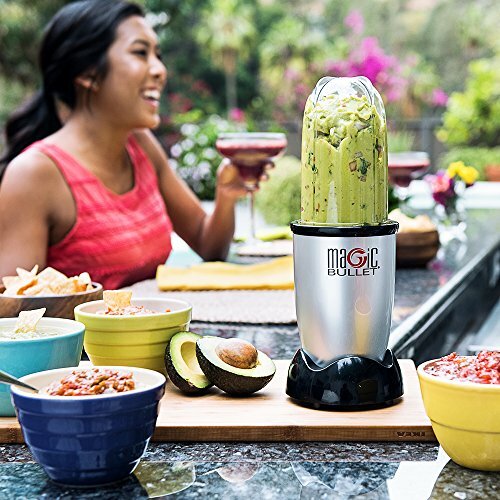 These features work together to quickly and forcefully circulate food back into the Cyclonic Cutting Zone, allowing the Magic Bullet to do virtually any food prep task in seconds. Find the Magic Bullet 13-Piece Set Blender & Food Processor for Kitchen in your local Walmart in the blender section! Appliance Store EverGlide is a participant in the Amazon Services LLC Associates Program, an affiliate advertising program designed to provide a means for sites to earn advertising fees by advertising and linking to Amazon.com, Endless.com, MYHABIT.com, SmallParts.com, or AmazonWireless.com. Amazon, the Amazon logo, AmazonSupply, and the AmazonSupply logo are trademarks of Amazon.com, Inc. or its affiliates.